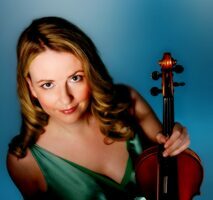 Described by The Strad as “playing with beguiling warmth and affection” and by American Record Guide as “simply spectacular”, Clare Howick's CD recordings for Naxos and Dutton have received awards including 'Editor's Choice' in both Gramophone and Classical Music magazines, 'Recording of the Month' on Music Web International and 'Recommended Recording' on BBC Radio 3 Record Review. 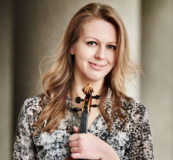 She has appeared as a concerto soloist with the Philharmonia and the BBC Scottish Symphony Orchestra and has broadcast on BBC Radio 3, Classic FM, and in Europe, the US, Canada and New Zealand. venues, being broadcast on BBC Radio 3 and being a laureate of numerous international competitions. Calleja Foundation and the Martin Music Scholarship Fund. 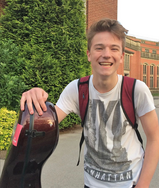 Dan Brandon is a 17-year-old cellist from Epsom studying at Sutton Grammar School. He is at the Royal College of Music Junior Department (RCMJD) where he currently studies with Michal Kaznowski. He is the Principal Cellist in the National Youth Orchestra of Great Britain and the Stoneleigh Youth Orchestra. Dan has won numerous awards in various competitions including winner of the Sutton Festival Concerto competition. At RCMJD he was runner up in the Gordon Turner competition and, most recently, finalist in the Peter Morrison Concerto Competition. He has taken part in international masterclasses with Alexander Baillie and Leonid Gorokhov. He recently performed the Dvorak Concerto in London with the Great Ormond Street Orchestra and the Saints-Saens concerto with the Leatherhead Orchestra and the Sutton Symphony Orchestra. Dan has performed a number of recitals, most recently in Shrewsbury and Poole and has been invited by RCMJD to perform a recital in Summer 2019 in the Elgar Room at the Royal Albert Hall. Dan plays on an English cello kindly loaned by the Benslow Trust.